A few weeks ago I did something I haven’t done for a while and had a wander around the British Museum. I rather enjoyed coming across this serious dude. Apparently, he is the Garuda, a legendary bird-like being. In Hindu mythology he is associated with the god Vishnu acting as a vehicle or mount, and symbolises royal power and martial prowess. 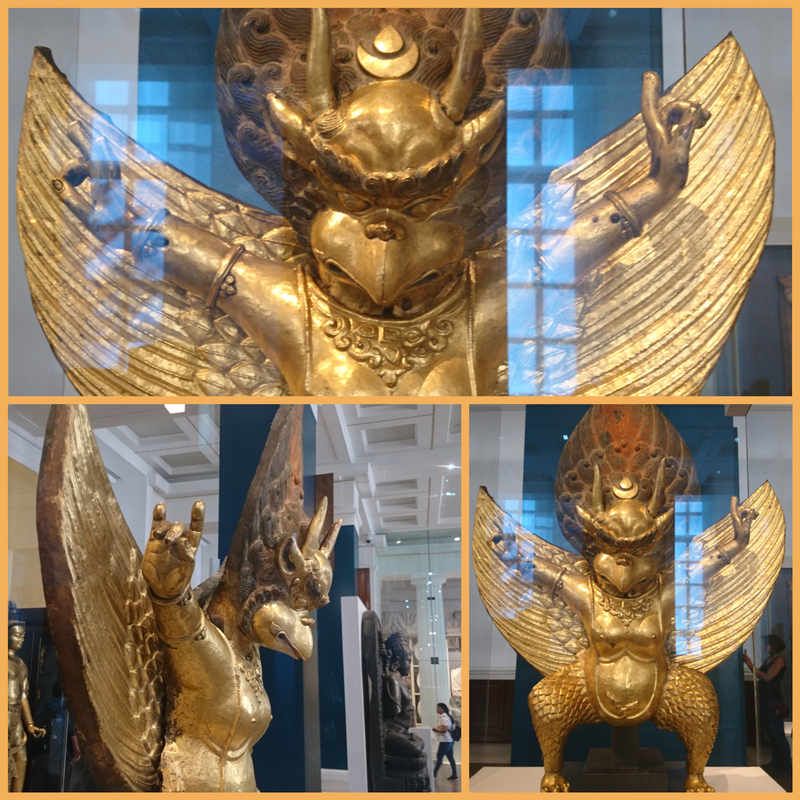 In Buddhist mythology the Garuda are a enormous intelligent birds that are enemies of the snake spirits called Nagas. This statue is from Tibet, where it seems Garudas aren’t beings you’d want to mess with. What's all this white stuff? 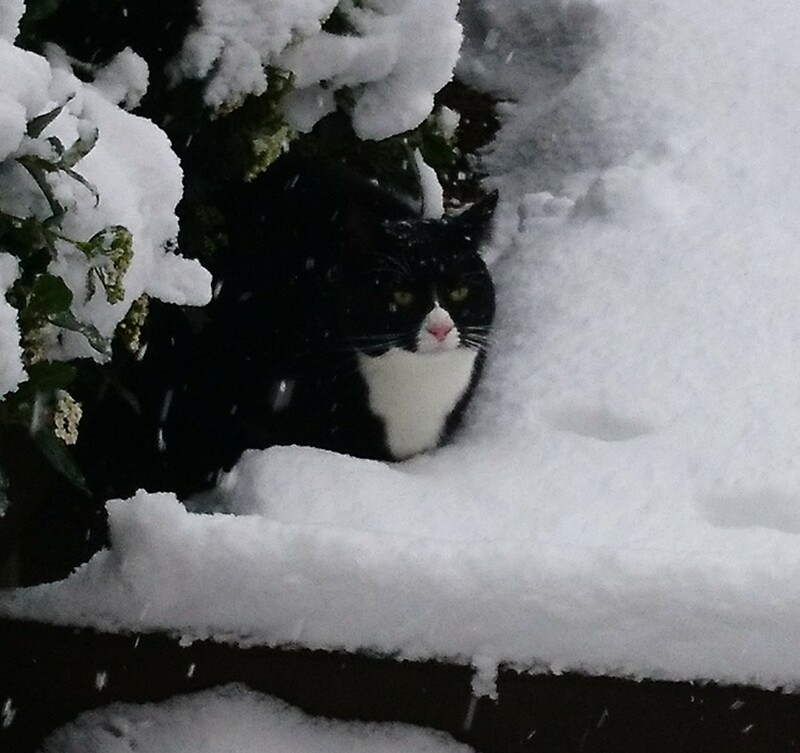 The cat’s a bit perplexed by today’s snow. 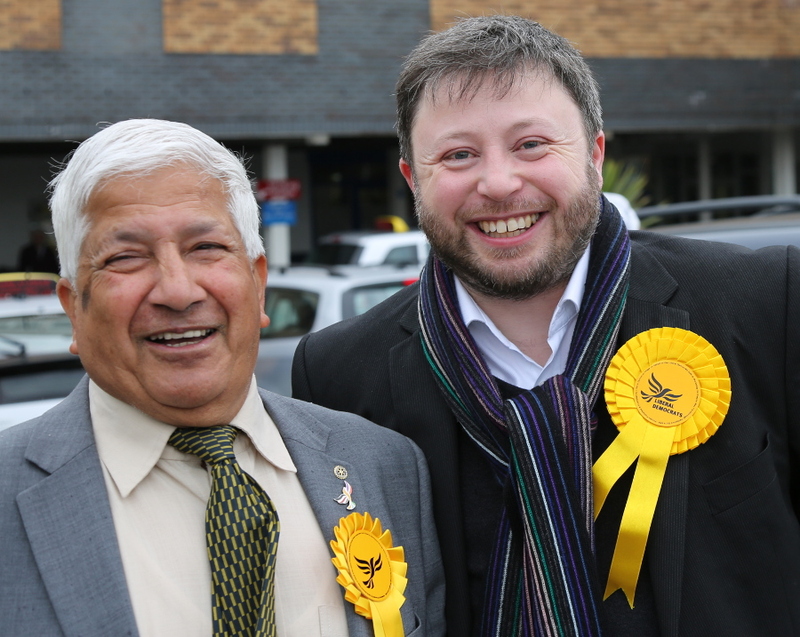 One consequence of standing in the General Election is that people have been taking photos of me — with resulting clashes with my vanity — but I do like this one of me with my friend, and fellow candidate for Luton North, Rabi Martins. 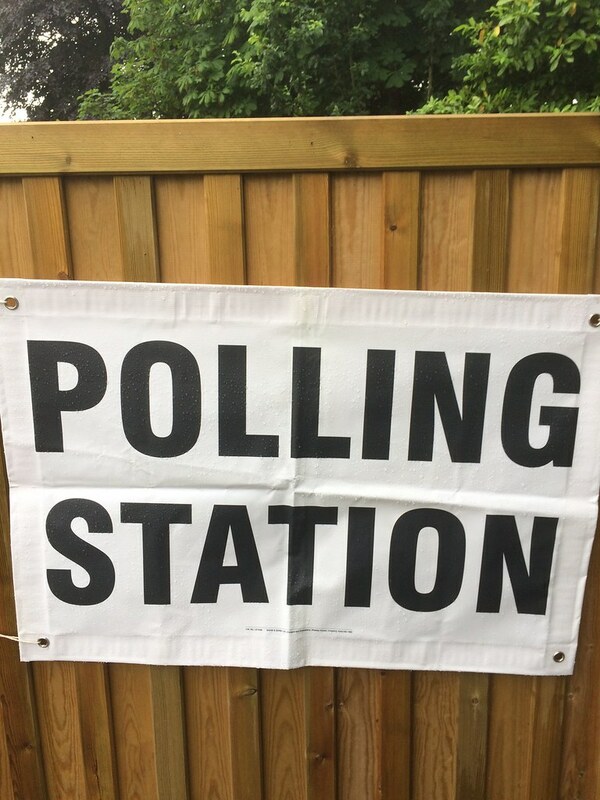 Photo taken at Leagrave High Street on June 23, 2016 at 09:17AM. I’ve arrived in Lyme Regis for a family holiday. What’s the first thing I find as we enter our cottage? 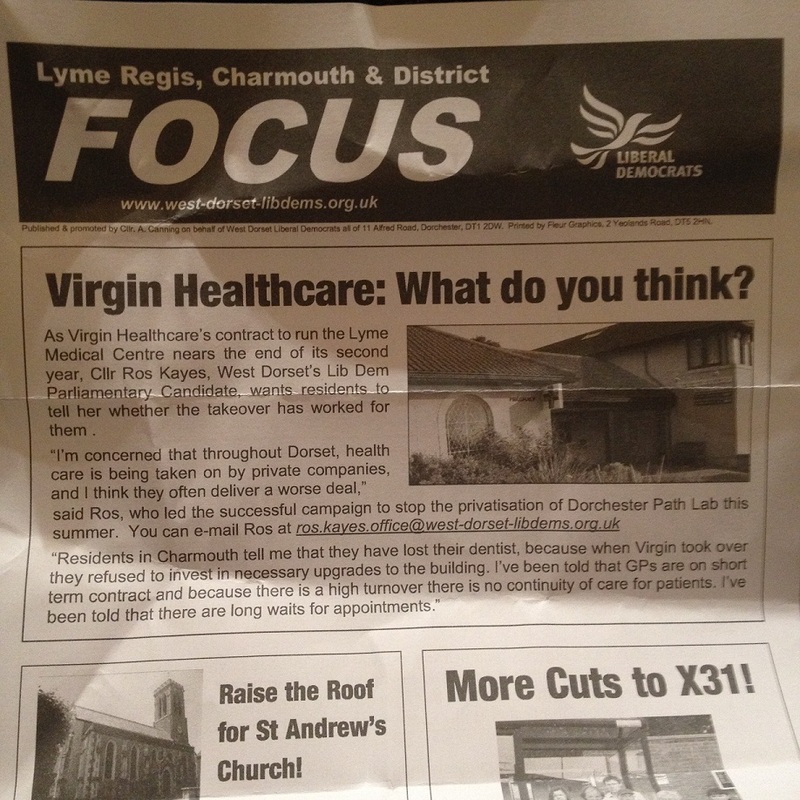 A ‘Lyme Regis, Charmouth & District Focus’. 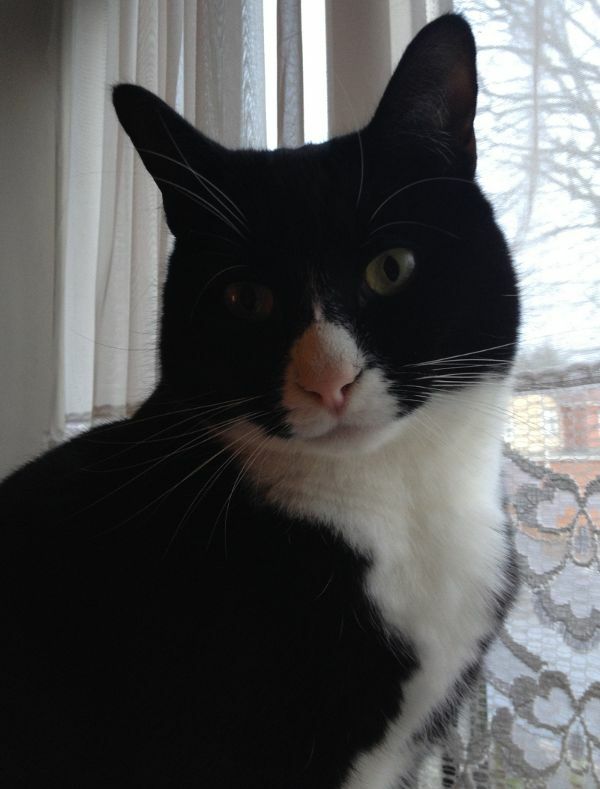 This is my new lodger Molly. 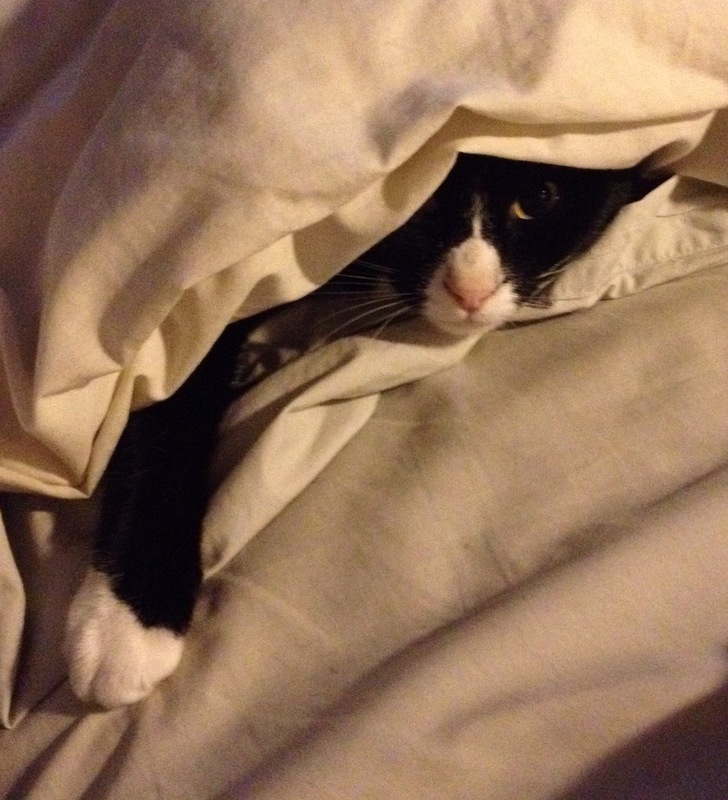 He’s been staying with me for over six weeks now and despite all meals being provided and excellent room service the only rent I’ve received has been one small rodent. I visited the Victoria & Albert Museum on Saturday for the first time. It was something I’ve been meaning to do for ages as it is the only one of the big four London museums I’ve never been in. I only scratched the surface of its collection and, while I was bowled over by the jewellery gallery, I spent most of my time in the museum’s Asian galleries. 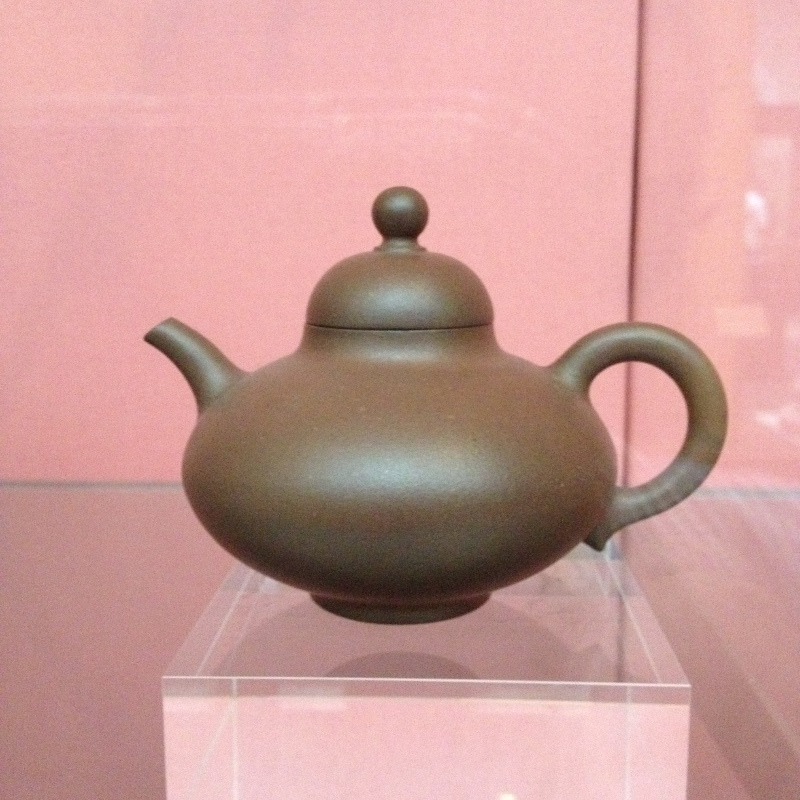 Here is a Ming/Qing dynasty stoneware teapot, made around 1625 – 55, from the V&A’s Chinese gallery. I love the fact that they know the name of the person who made it; Hui Mengchen.